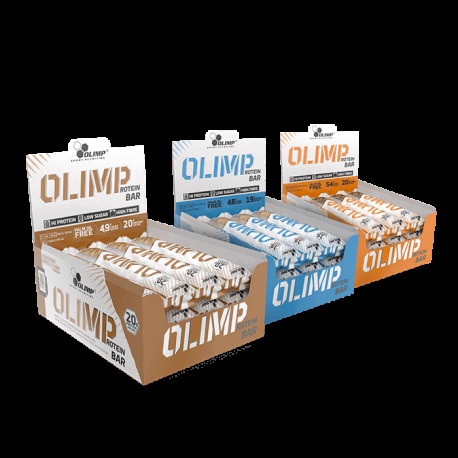 What is characteristic of the protein bar produced by Olimp is, above all, its high protein content (20g per portion), which is a key building block for your muscles. It contributes to the increase of muscle mass and helps to maintain it. 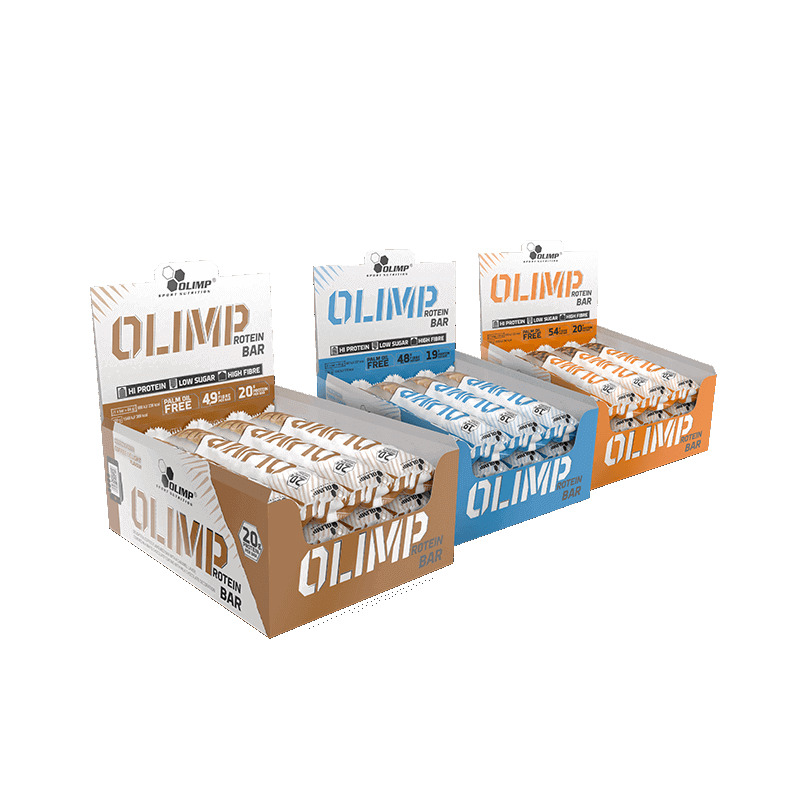 Importantly, the Olimp Protein Bar contains only 2g of sugar, which should be limited in a daily diet. Compared to competing protein bars, it has more than a half lower content of polyols (the less of them there are, the lower the risk of gastric problems). This handy source of protein is available in 3 sensational flavours with a high content of valuable fibre, holding the appetite in check. Try it and you won't be able to resist the chocolate-covered, crispy and high-protein snack!